Weaverfinches, or estrildids, are related to the weavers with which they were formerly placed in the family Plocei-dae. They do, however, differ clearly from weavers not only in external appearance, but also in behavior and in a number of digestive tract characteristics. For these reasons, they are now generally considered a distinct family that has diverged far from the common ancestral stock shared with the weavers. 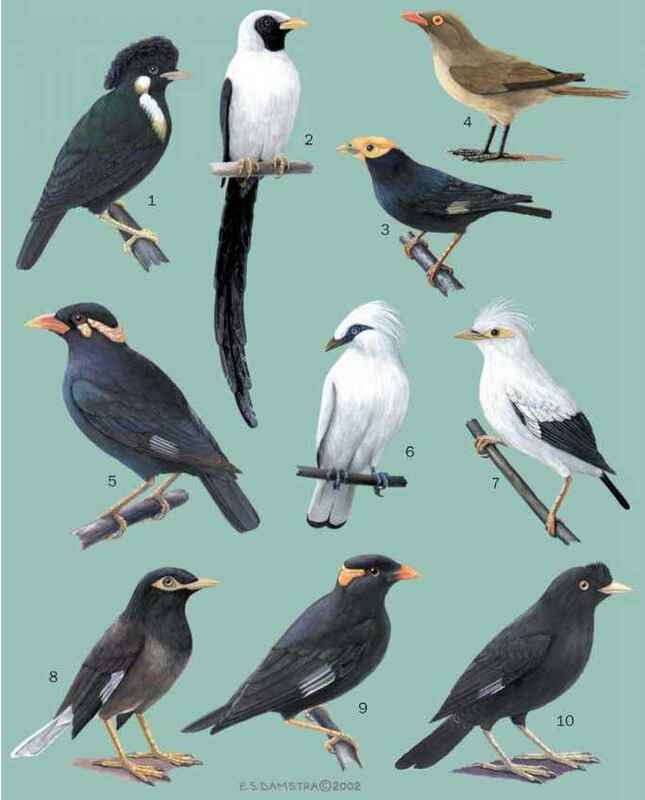 Sibley and Monroe, on the basis of genetic studies on DNADNA hybridization, have grouped several of the existing families, including Estrildidae and Ploceidae, into the Passeridae family. Although there is presently no consensus among ornithologists about their work, it will certainly play an important role in avian taxonomy in the future.